There are two little words that every skincare lover is dying to hear: “You’re glowing.” Luminous skin evokes health, youthfulness, and all the other good things we associate with a happy, healthy lifestyle. 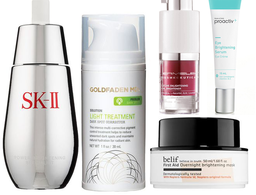 A lit-from-within appearance is the ultimate skincare goal, and thankfully, there are products to help us achieve it. To allow for optimum luminosity, one first has to understand light. Over at La Prairie, an entire team of Swiss scientists is dedicated to the study of luminosity — because once you understand the principles of light, you can better seize its beauty. With extensive research, scientists developed a mathematical equation they term “the equation of light.” They’ve worked to determine the relation between light, colour, and reflection through the equation LIGHT = f(COLOUR + REFLECTION). 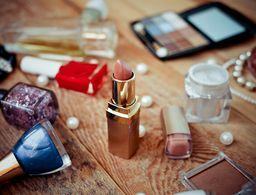 In scientific terms, your skin’s natural hue is actually made up of a color spectrum. The spectrum consists of the natural pigments of each of the skin’s layers. As we age, the amount of naturally occurring pigment in the skin decreases, and so naturally luminosity decreases along with it. Each color works in its own way to zap luminosity out of skin. Grey pigment comes from dust and particulate matter that sits on the outermost layer of the skin, oxidizing and making skin appear dull. Brown pigment comes from sun exposure, infrared rays, and all the blue light we absorb from our ubiquitous digital screens. These irritants can also increase melanin production in the skin, which leads to discoloration and unevenness along with age spots. Yellow coloration comes from oxidative stress, such as free radical damage, and leaves skin itself looking tinged. Finally, redness in the skin stems from similar external irritants like UV rays and free radicals, which can result in chronic inflammation, the appearance of small blood vessels on the face, and blotchiness – all of these subtle color disorders occluding a perfect, luminous skin’s surface – radiating light from the innermost layers. According to La Prairie’s research, the less color the skin absorbs, the more luminous it appears. That means skincare products should serve as a barrier against external factors like pollution and stress. The external aggressors that accumulate on our skin work as a blockade, keeping out natural light and leaving skin looking less than radiant. To combat that effect, La Prairie has developed a slate of products that targets grey, red, brown, and yellow chromatic disturbances. With each of these pigments in mind, La Prairie scientists spent five years of research developing White Caviar Illuminating Pearl Infusion and White Caviar Crème Extraordinaire to achieve the optimum skin luminosity. Used together, the two products diminish grey, brown, red and yellow discoloration and work to reduce dull, gray skin. White Caviar Illuminating Pearl Infusion and White Caviar Crème Extraordinaire were developed to target unwanted pigments and boost the skin’s ability to reflect light, which in turn makes skin appear more luminous. Developed in 2017, White Caviar Illuminating Pearl Infusion is a facial serum, formulated with opalescent white pearls and a serum that includes active ingredients like golden caviar extract and La Prairie’s exclusive cellular complex. Follow up the serum layer of skincare with new White Caviar Crème Extraordinaire, a luxurious illuminating face cream. It also contains golden caviar extract and La Prairie’s exclusive formulas, and an extra special ingredient called Lumidose which is designed to inhibit melanin formation and keep dark spots and age spots at bay. Used together, the products work against age spots, red-tinged skin, and gray dull skin. They also help decrease fine lines, thus smoothing the skin’s texture and making it even more able to reflect light. “I wanted to evoke the experience of light’s ability to illuminate and transform natural beauty,” says Ahn of his work. “La Prairie uses the science of light to reveal the natural beauty of the skin. The works are a visual representation of unlimited possibility, enhanced by the science of light; they use simple materials to explore the visual phenomena that create beauty and meaning in our lives. I hope the viewer is filled with a sense of curiosity and discovery, that they have the potential to find beauty and meaning in the most unexpected places.” The works will be on display at Art Basel Hong Kong from March 29-31, 2019. Whether through science, art, skincare, or the combination of the three, La Prairie is using its understanding of luminosity to make the world a more beautiful place. 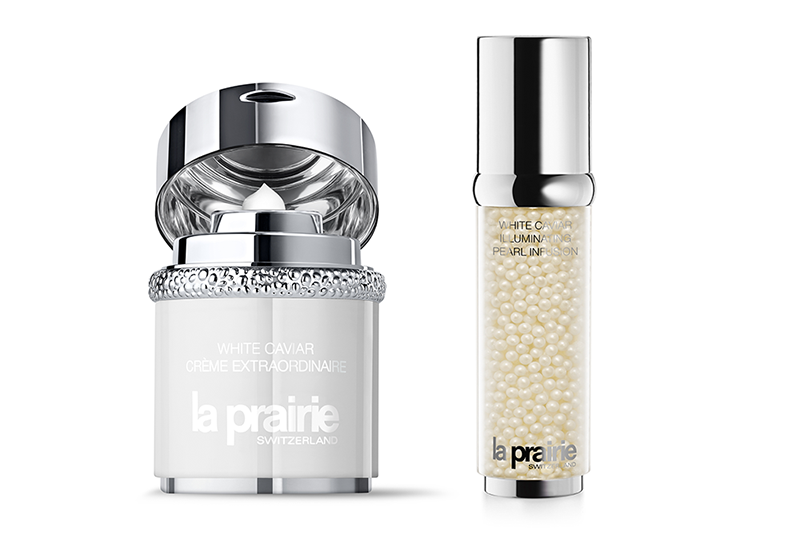 White Caviar Illuminating Pearl Infusion ($570) and White Caviar Crème Extraordinaire ($725) are available now on laprairie.com. 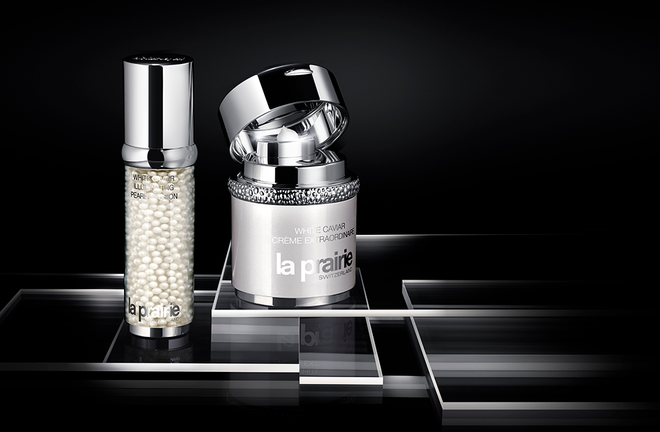 For the month of April on LaPrairie.com and in store, receive a travel size of the perfect partner when you purchase either White Caviar Crème Extraordinaire or White Caviar Illuminating Pearl Infusion. Complimentary shipping and two additional samples are offered on any laprairie.com order.